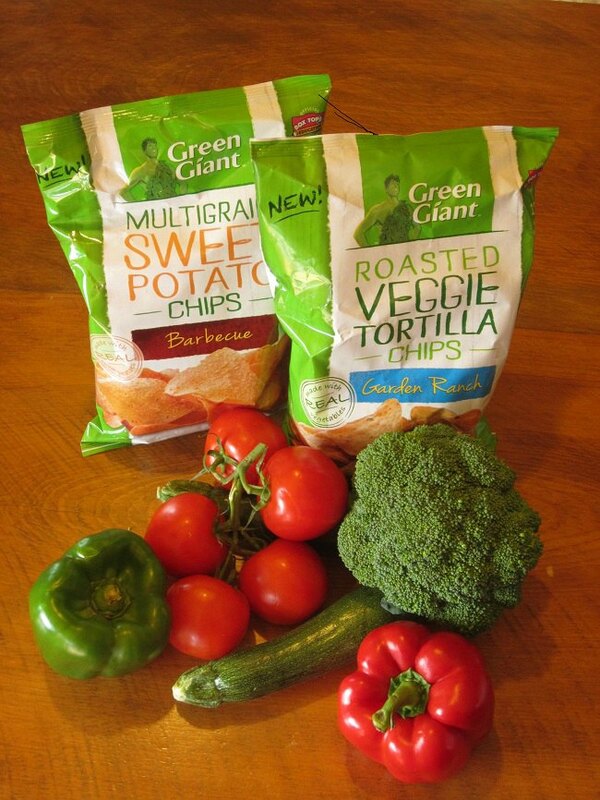 Green Giant Veggie Snack Chips – Better For You! Bill and I need to lose weight. We have been working on it for a year now and the progress, though slow, is in the right direction. I am happy to report that there is less of us than there was a year ago. Neither of us is the dieting type! I love to cook and we both love to eat so the whole deprivation thing of a rigid diet plan just doesn’t work for us. We have opted for making lifestyle changes and eating healthier alternatives. Making substitutions for favorite foods has worked for us. 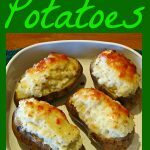 For instance, we both loved potatoes but I learned that sweet potatoes were better for us than white potatoes and making this substitution lowers our carb intake. Green Giant Veggie Snack Chips are saving us claories and fat, providing us with a healthier alternative to ordinary potato chips. We both like to snack but I am not the carrot stick and celery type (unless it’s slathered in sour cream & blue cheese dip). 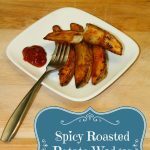 Finding a better substitute for one of my favorites, potato chips, was a little trickier. And then along came Green Giant Veggie Snack Chips. I opted for the Multi Grain Sweet Potato Chips saving some calories and fat. Comparing the “Nutrition Facts” on the back of the bags of the Veggie Chips and a popular brand of potato chips, I found that 1 ounce (about 16 chips) of Green Giant Veggie Chips gives me a savings of 60 calories and 5 grams of fat. That’s a win for me and they are very tasty and satisfying. I can’t help myself. 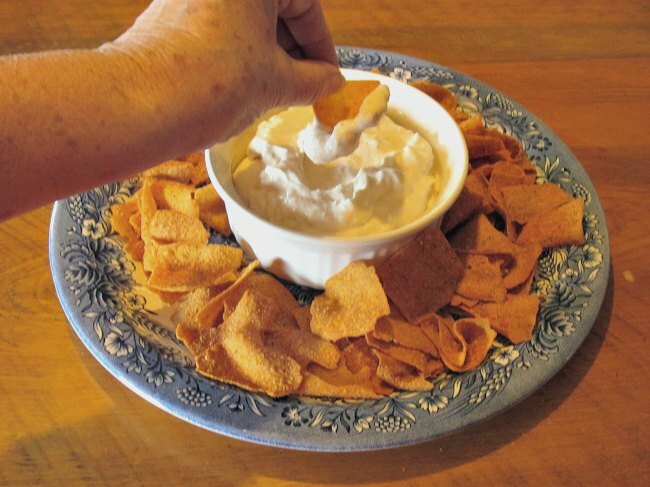 I like to have my chips with dip so I whipped up a satisfying healthier alternative French Onion Dip to serve with them. Bill loved it so I’ll sharing it here with you. A lower cal, lower fat alternative to the traditional favorite. Combine all ingredients in a bowl, mixing thoroughly. Chill for 4 hours to allow the flavors to blend. We also tried the Roasted Veggie Tortilla Chips. I used them to make a quick and easy plate of “Microwave Nachos” that were yummy. Once again I compared the “Nutrition Facts” with a bag of ordinary tortilla chips, I was again pleasantly surprised that we were saving calories and fat. 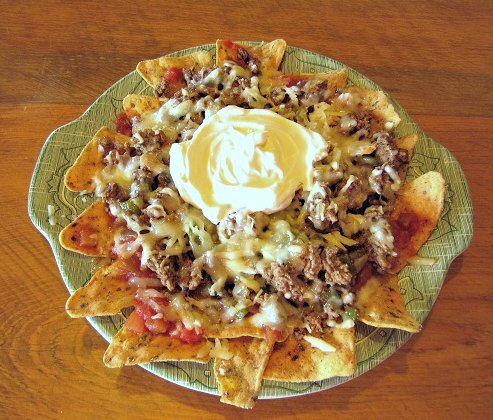 Quick and easy, you can’t beat Microwave Nachos for a fast and tasty snack the whole family will enjoy. A quick and easy snack from the microwave – great for watching a Sunday football game! Saute onion & green pepper until translucent. Add garlic powder and taco seasoning. Arrange tortilla chips on a microwavable plate. Cover with a layer of salsa. Add a layer of ground beef mixture on top of salsa. Add layer of both grated cheeses. Microwave on High for 45 sec. – 1 min. until cheese melts. Add dollop of sour cream in center and serve. The only thing negative about the snack chips for me is that they have a lot of sodium, but not any more than other snack and potato chips. I hope they come out with a reduced sodium version for people like Bill and I that have to watch our salt intake. 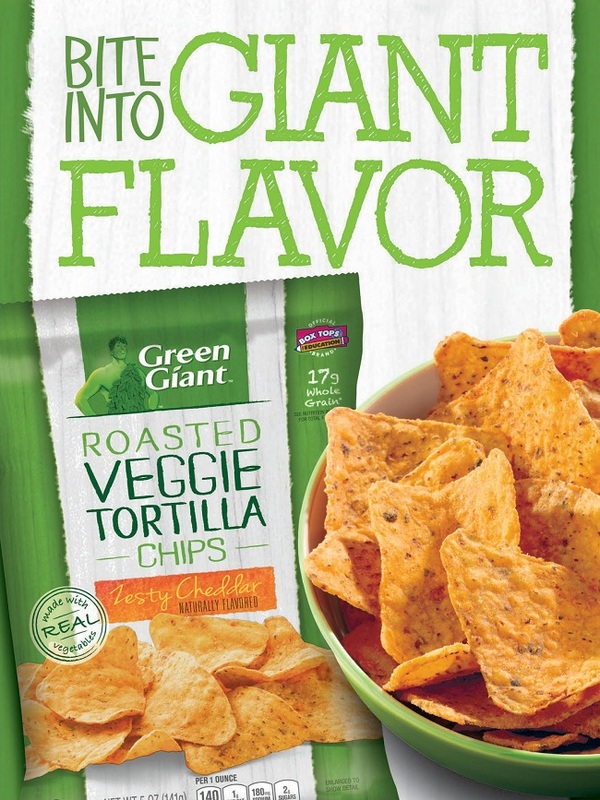 Be sure to stop by the Green Giant Facebook page and grab a money saving coupon so you can give these chips a try! I really enjoyed trying both of these flavors of Green Giant Snack Chips and will be having these again soon. I’ve been baking tortillas for natural, low-fat chips and they’re delicious. Weight loss is tough but it’s possible (i know). Keep up the good work! Thank you so much for sharing at Tuesdays with a Twist. Come on over and share what you’ve been working on. Pinning! I absolutely love onion dip. Thanks for sharing at All Things Pretty. I can’t wait to try these chips. They look yummy.